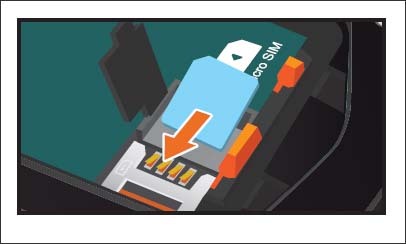 Don't attempt to insert the SIM card while the device is powered on. 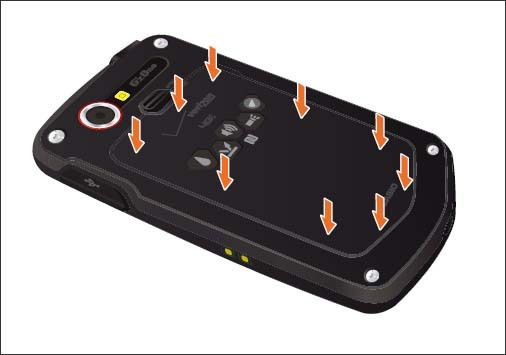 Doing so can harm the SIM card and/or the device. Insert your finger into the groove and pull up on the back cover in the direction of the arrow. When the back cover is loose, pull it in the direction of the arrow. 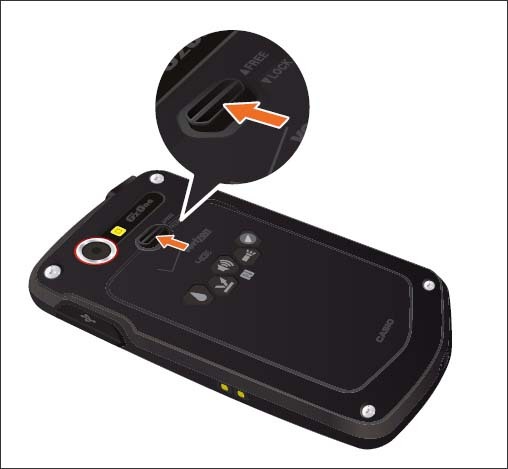 Slide the Battery Lock to the right or FREE position. Insert your finger into the groove and pull up then remove the battery. Lift the SIM card cover marked Open. 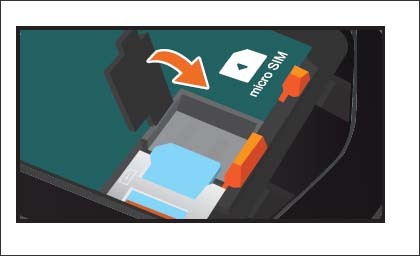 Insert the SIM card into the SIM card slot. 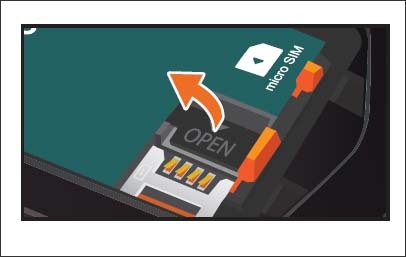 Close SIM card cover by pressing down until it clicks in place. 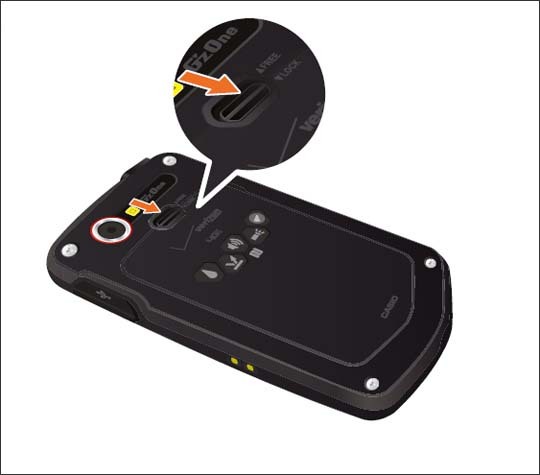 Slide the battery lock to the left or LOCK position. Insert the battery cover tabs into the slots and press the back cover down. 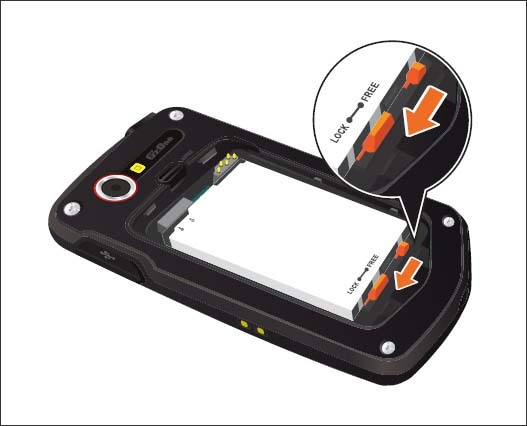 Press down hard on all sides of the battery cover.